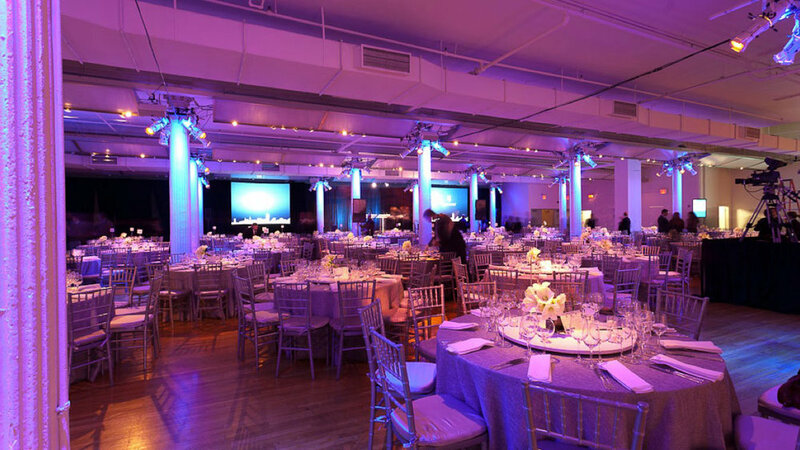 Metropolitan Pavilion is a premier Manhattan special events facility offering versatile room configurations in a convenient and historic Chelsea location. North & South Pavilion, The Metropolitan Suite, Gallery, and The Level host receptions, dinners, product launches, fashion shows, media and tech events, trade shows, and more. A/V, wifi, private lobbies, an indoor loading dock, and a wide range of production services set it apart as an NYC event destination of distinction. Standing: 1500 max., Seated: 800 max. North & South Pavilion, The Metropolitan Suite, Gallery, and The Level host receptions, dinners, product launches, fashion shows, media and tech events, trade shows, and more.